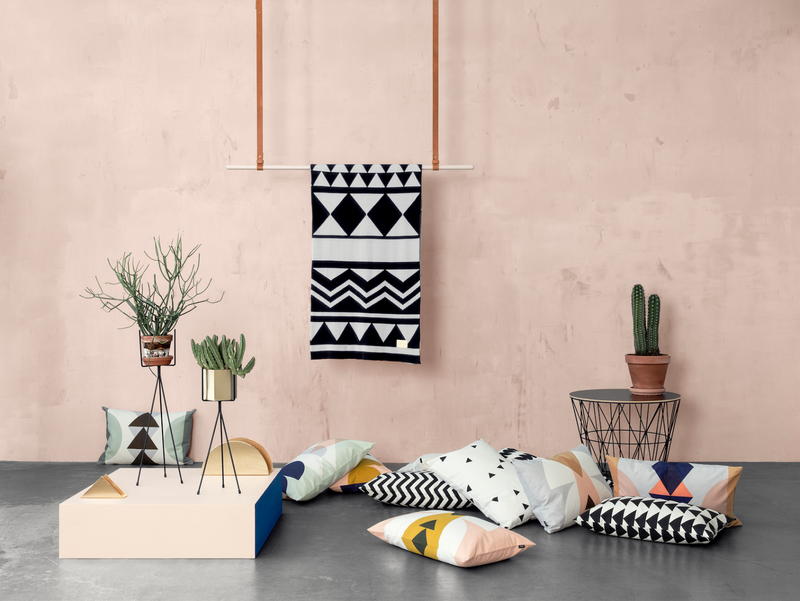 if you’re lucky enough to be in copenhagen and visiting the design trade fair, you’re probably admiring the new scandinavian design collections up close right now. but here in geneva, i’ll have to make do with the new catalogs put out by two of my favorites – string and ferm living. i’m really feeling the ‘green’ in the pictures above. 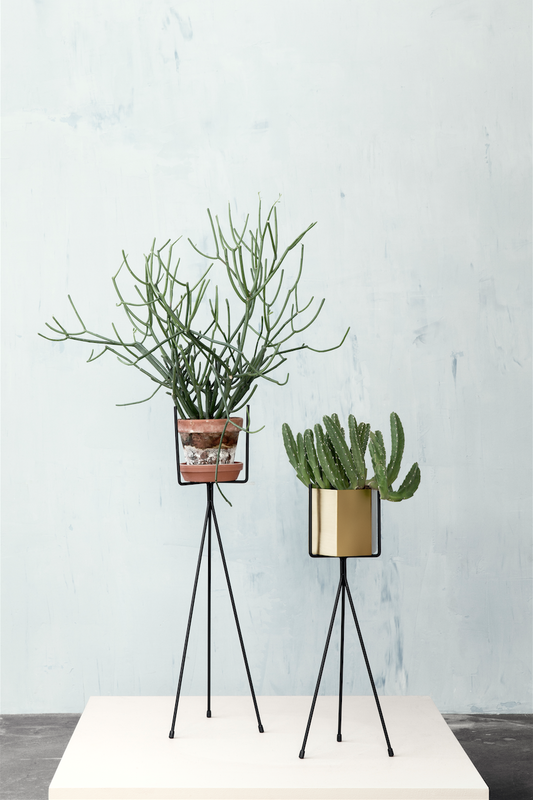 those plant stands by ferm living are going on my wishlist – they’re perfect to add a graphic element, especially combined with the brass hexagon pot. the beautiful styling of the second picture was done by the ever formidable lotta agaton. 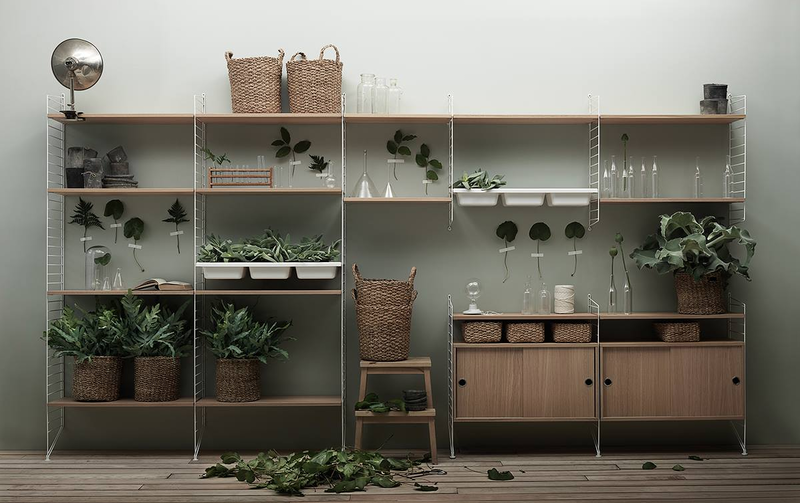 i’ve been going back and forth on the possible addition of those string shelves to our place – trying to figure out if i genuinely like the design or if i’m influenced by the hundreds of thousands of bloggers out there who have a string pocket in their home. but now that we really need some new shelves in our bedroom slash home office, i’m thinking to just bite the bullet and go for the pocket in white and ash. and i don’t know if it’s the feeling of spring in the air around here (temperatures have yet to drop below the freezing point, and there’s barely any snow on the mountain tops surrounding geneva), but i’m also really into pink these days. the combination of pink and gold in those incredibly rad sneakers, for example, makes my heart beat a little faster. 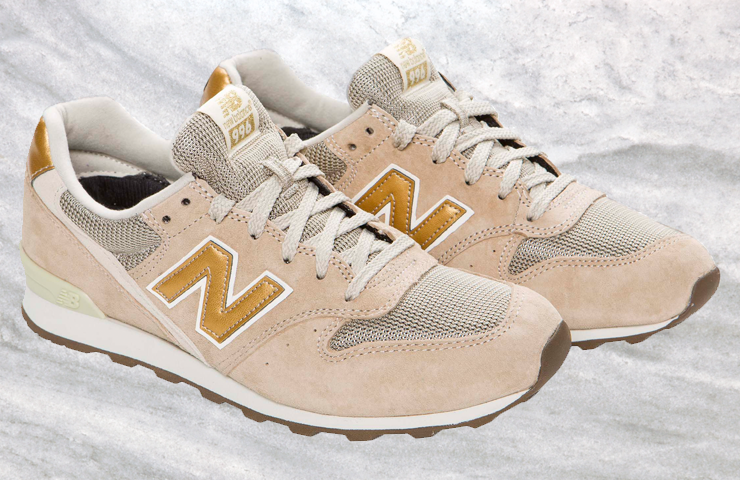 they’re a collab between new balance and french label comptoir des cotonniers, and i’m very sad i won’t be able to get my hands on them as they’ll only be for sale in belgium, france and germany for a limited time starting next week. oh well, brass and pink in our living room it will be, then. Oh, these colors go just so beautifully together. I’m in love with everything! The color palette is definitely my favorite :) You can never go wrong with brass and pink in the home – good luck! @kevin aren’t cactuses the best? they’re also the only plants i can keep alive… oops. @jessica i know, right? i love how brass and pink can light up an otherwise monochromatic room, without it becoming overly girly or romantic. Filter through posts by category. Travel through posts by city. my name is stephanie duval, and i am a storyteller. this blog is where i share my favorite stories about design, travel, fashion and the nice things in life.